23 September 2005. 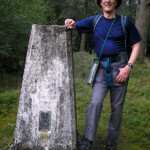 Petersfield to Midhurst, 14 miles (12 on trail). 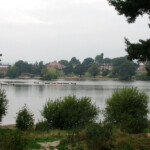 The trail starts at Heath Pond, a mile from Petersfield station on the outskirts of town. It’s a low key start with little to mark the beginning, but set off north by the pond and you soon meet the first heath, an encouraging taste of what is to come. Alas, a bit of residential Petersfield then intervenes, and after a brief spell north of the Rother a trudge over farmland follows. 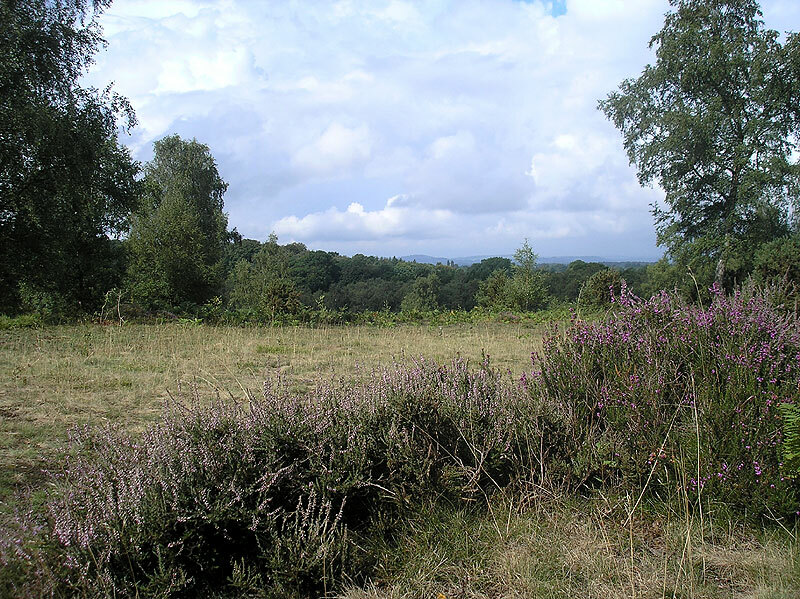 At West Heath Common, which has bronze age barrows, you share the path with the Sussex Border Path for half a mile or so, before empty-feeling fields on the way to Nyewood. From here to Trotton it’s metalled road all the way, passing the large Southdowns Country Hotel, where the car drivers probably wonder what you are doing and why you need a rucksack. When I passed this way the Keepers Arms was a super pub, though a year later I heard distressing tales that the Keepers has been gastroed and can no longer spot cottage pie at thirty paces. 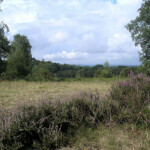 After the Keepers, up a sandy path, a genuine highlight, Trotton Common followed by Iping Common. 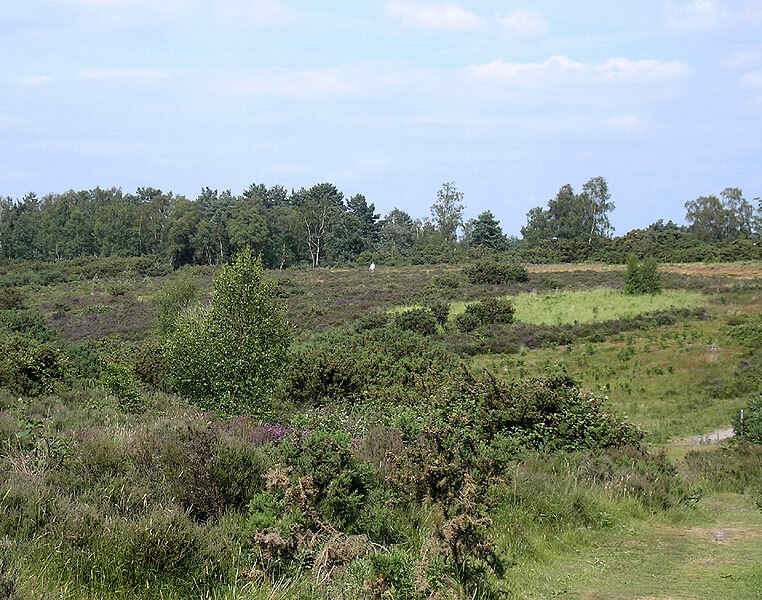 These two commons are mostly open, dotted with gorse and birch, and between them they were large enough for Canadian tank regiments to practise D-Day manoeuvres. 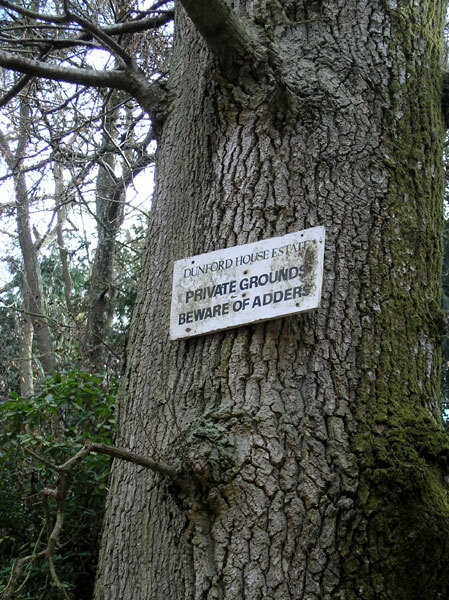 They feel very remote and ancient, a surprise to find in crowded southern England. 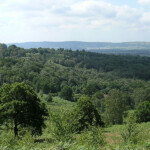 Stedham Common is now mostly forested, and there is some zigzagging through more forest before reaching Midhurst Common; it’s worth peeking over just to the left of the path to see the abandoned white brickfields through which the Petersfield-to-Pulborough railway once ran – the quarry even had its own rail system. 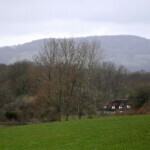 After crossing Bepton Road on the edge of Midhurst, the lane running south has good open views of the South Downs, before joining the A286 at Cocking Causeway, near the Greyhound pub. 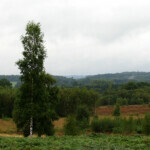 Midhurst itself is a mile north. 10 March 2006. 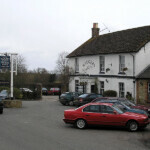 Cocking Causeway to Fittleworth, 14 miles (13 on trail). 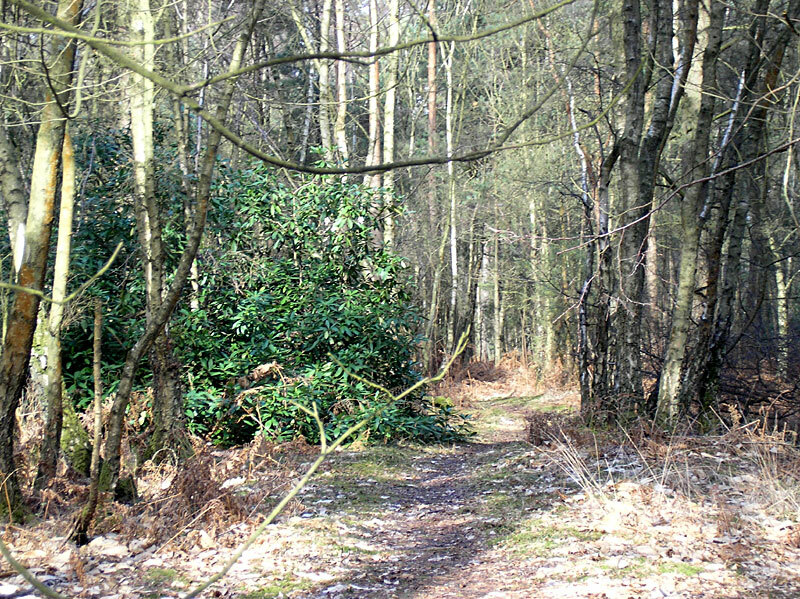 After passing the YMCA’s training base at Dunford House – a quiet spot for those who need to study – the first highlight is Ambersham Common, before a tricky little piece of navigation in woods just after the turn beyond Graffham Court. On the (attractively) wooded Graffham Common, the big white house (‘eight luxury apartments providing elegant living in a natural setting’) of Millburgh Hall is a shock. 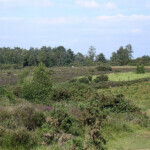 Lavington Common, famous for spiders, is more open; indeed Lavington Plantation, just before it, was being cleared to provide another glimpse of how all the heaths used to be. Lunch is just downhill from the trail, at the Badgers Inn. Resuming the trail, the countryside is more open and obviously farmed, and views of the Downs southward predominate around Burton Park. A little hamlet here, just a few houses around a green, forms a secret little community – indeed, the estate seems to have been founded as a Catholic retreat. Lord’s Piece Common at Broad Halfpenny, with its little pond and good open aspect, the path trending a little uphill, is especially pleasant; in summer listen out for the chirrup of the last native UK colony of field crickets. A little bit of B-road bashing soon follows. It’s all worth it, though, with the entry to Fittleworth over the Rother, past the Swan Inn, followed by the day’s final heath, Hesworth Common, a little outcrop on the edge of the village that’s the best single view yet, a large swathe of the downs in the evening light, and continuing round to the sweeping wooded hills to the north of the Rother. 13 April 2006. 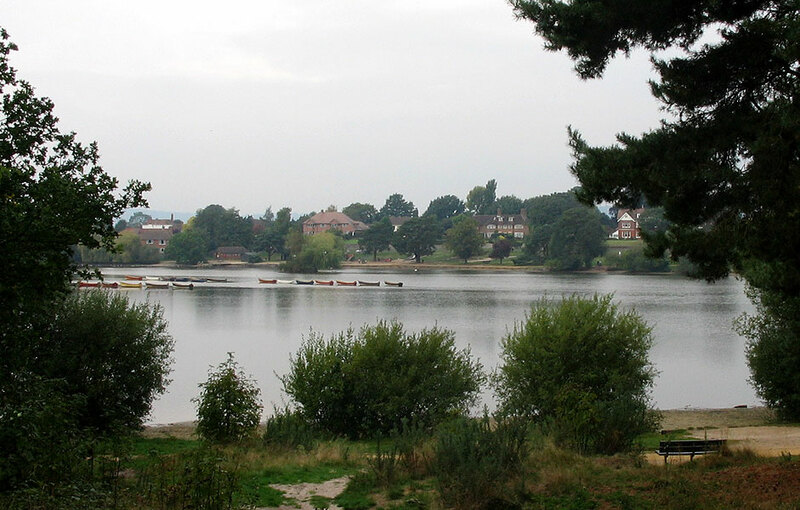 Fittleworth to Henley, 13 miles. This didn’t get off to a good start, as I was kept waiting half an hour for the bus at Pulborough. 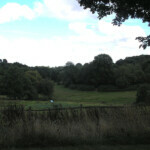 Lithersgate Common is pleasantly wooded, Flexham Park more monotonously so; after Brinksole Heath there is an open-field descent with Petworth in clear view ahead, a sharp climb up from the brook leading to the town itself. 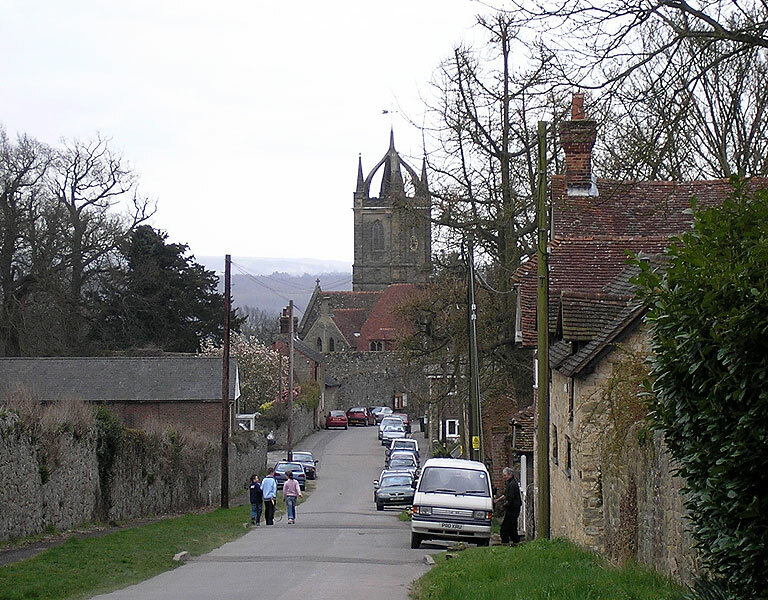 It’s a bit like a smaller version of Midhurst, and even tweer (antique shops cropped out of picture on left). 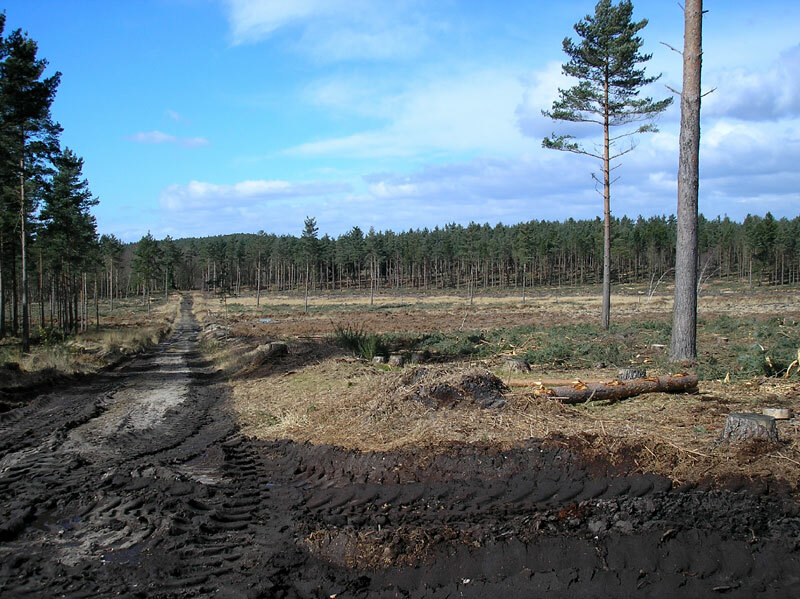 Now you might think that the trail would take advantage of the National Trust land to cut across Petworth Park to Tillington, but not a bit of it; it sticks to the A272, one of the greatest missed opportunities in any trail I know. However you can be spared some of it if the lodge gates at 972214 and 967216 are open, and I’ve been told that the Trail’s official guidebook gives an alternative too. 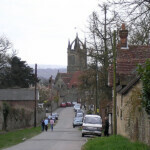 The approach to and exit from Tillington, whose church has a distinctive arched tower, are both very pretty. 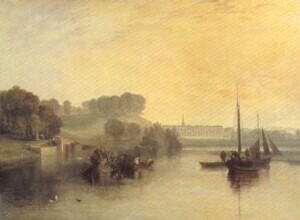 The Horse Guards is perfectly sited opposite the church, if a bit gastropubby. 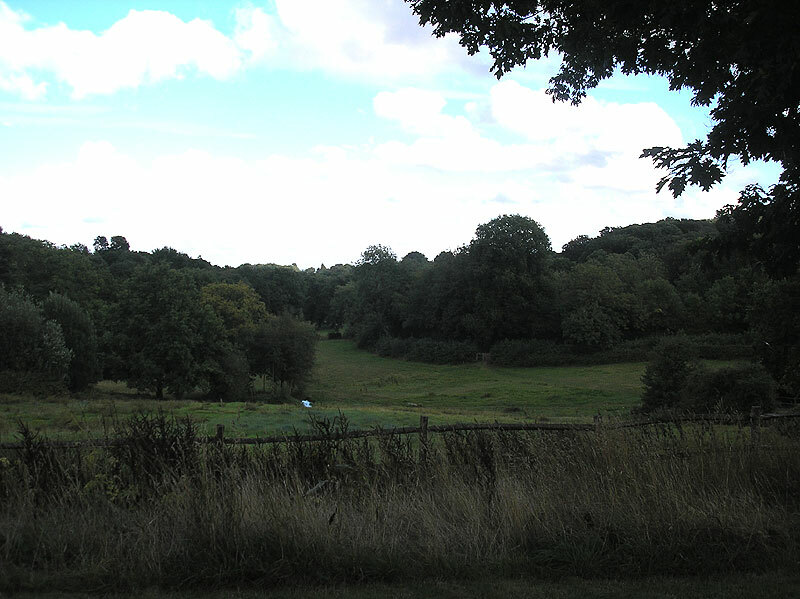 You stay by the Petworth estate wall past Upperton hamlet, until stepping into its common (mostly wooded, though with a glimpse of open space to the left) at a folly. 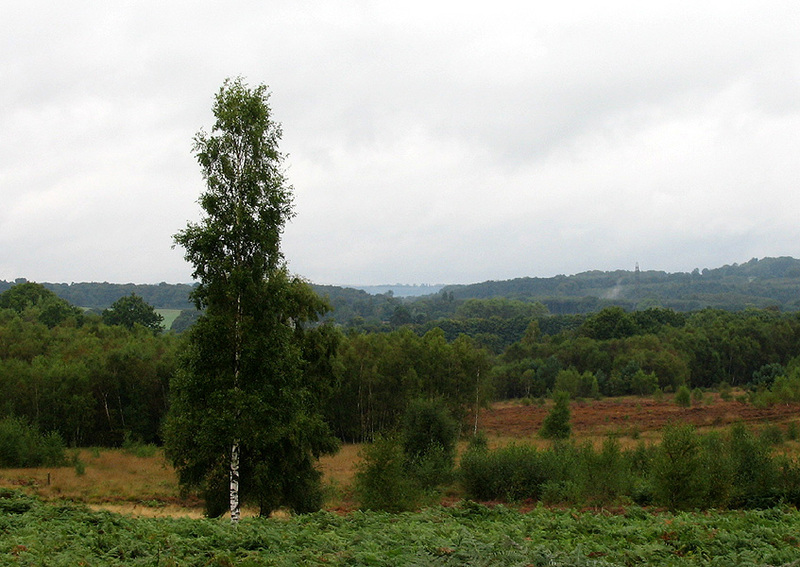 Lord’s Wood is a drag, but things improve around Leggatt Hill, the southernmost part of Lodsworth Common. 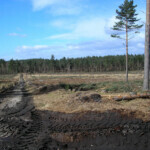 Black Down becomes very prominent around here, and forms an impressive bulk. 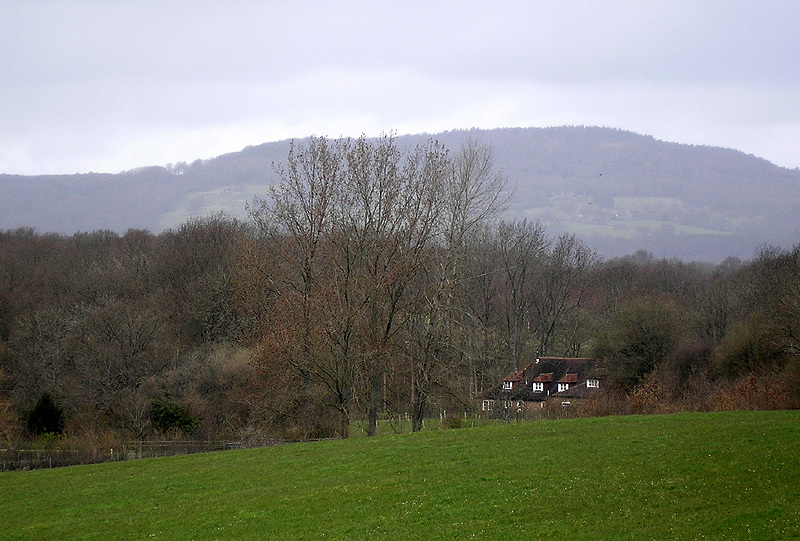 I will never forget Bexleyhill Common, and not for its oak beech holly and yew; there are a few isolated cottages around 918247, and one of them had a dog ill-disciplined enough to nip my left calf. It was my first-ever dog bite, and I thought I knew all the tricks. The mile-plus of coniferous woods on the way into Henley look as if they might be a drag too; but today, drizzly, they felt almost Welsh, as I crunched along damp tilted hillsides. At Henley bus stop, on the main road, a florist’s van stopped, and the Mayor-designate of Haslemere offered me a lift to the station. We soon saw my bus, broken down before its return trip. 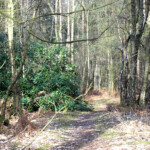 13 April 2006. Henley to Liphook, 14 miles (13 on trail). A stage with three undoubted highlights. But first, a little green lane winds through Henley Common, before a sharp uphill pull through Northpark Copse to highlight one, the highest ground of the trail so far at Woolbeding Common. With the height, and sharp scarp slopes to the west, this is an excellent viewpoint. 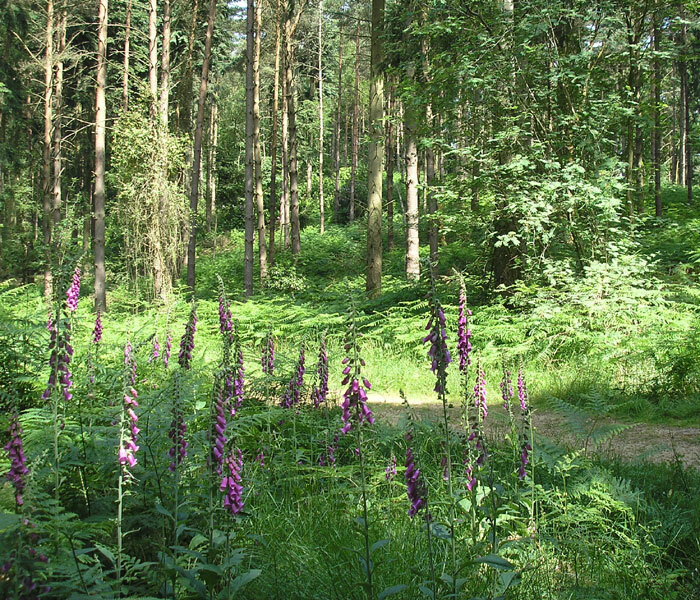 Below this, the rough parkland of Iping Marsh is a bit other-worldly, and there is a pretty meadow by Kingsham Wood. After crossing the Hammer Stream, it’s up through woods, and a definite downlight: Fyning Hill, the home of Roman ‘Give me the Champions League NOW’ Abramovich. Spend it on Siberia, Roman, and let us have our footpath back – we have to endure a road mile for his privacy. 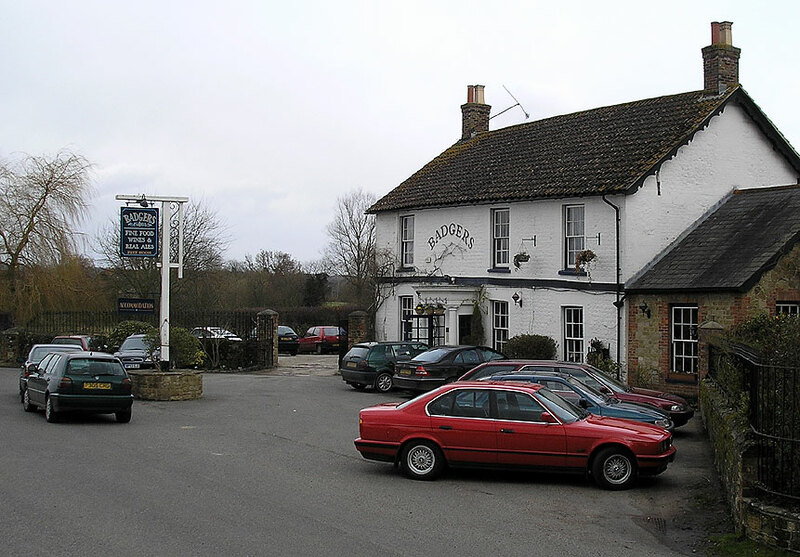 Eventually, like all nightmares, it’s over, and a pleasant wooded stretch takes us too close to the Jolly Drover at Hill Brow to need an excuse to visit: it was just the sort of pub which needn’t bother but does. Rake Hanger is highlight two. 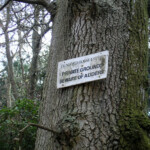 This ancient oak and alder woodland is naturally managed, trees dying in situ rather than being harvested, and it makes it one of the most attractive wooded stretches on the trail. You soon meet up with the old A3, now the much quieter B2070, but it’s still a trudge until highlight three, the extensive Chapel Common. First you circumnavigate a large meadow, and then you trek through heathered land reminiscent of Trotton and Iping Commons on day one. 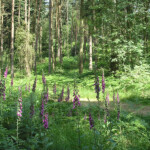 Then golf course and dull detatched houses are a bit of a bore, but take you to within a few minutes of Liphook station. Much of this stage from Rake Hanger, and the following stage to Black Down, is coincident with the Sussex Border Path. 18 August 2006. 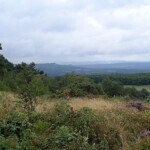 Liphook to Haslemere, 15 miles (11 on trail). The day opens with the last three of the commons on this walk. 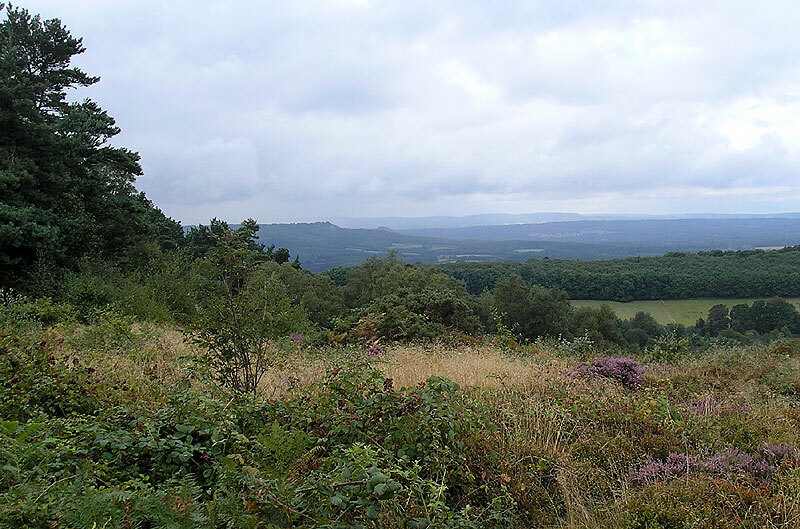 Stanley Common and Linchmere Common come first, with attractive views back to the hills above Selborne from a bench dedicated to the environmental epidemiologist Edward Radford – a brave man who risked his career to tell of the dangers of both smoking and the nuclear industry. A descent through Marley Common follows to the A286 just north of Kingsley Green; there is a bus stop here. The character of the walk then changes, past the back of houses and through the grounds of Lake House, until the climb to Black Down commences. 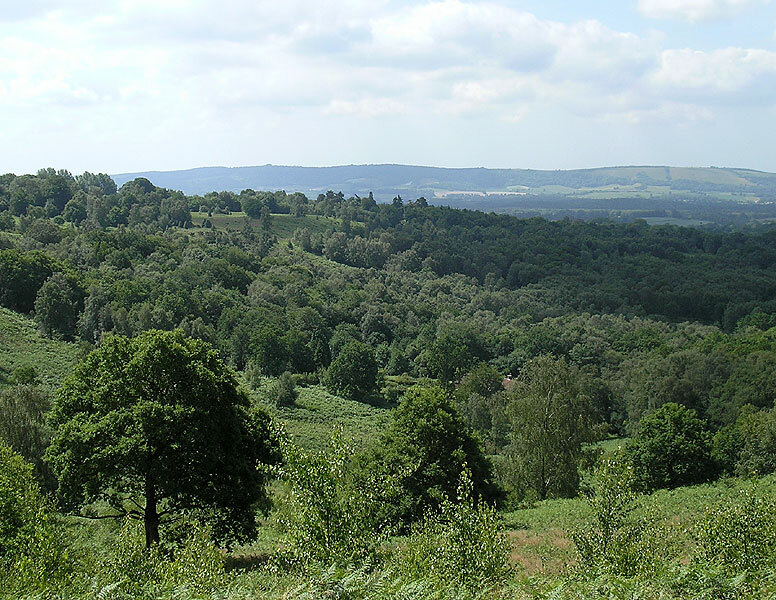 It really does make sense to walk the trail in this direction; Black Down dominates the views so much from many parts north of the Rother that this final ascent makes a perfect culmination. National Trust grassland is reached at the lovely Valewood Farm House, but it’s back into woodland at the 200 metre contour. That doesn’t prevent many spectacular views, most notably from the viewpoint at the south of the hill. I dropped down from here to the Red Lion in Fernhurst, where I enjoyed its signature dish of poacher’s pot casserole (local rabbit, venison and pheasant). Barbara joined me at the pub for the trail’s final few miles; note though that the Fernhurst detour makes this quite a long day for the unwary, with 2,400 feet of climbing over 15 miles. 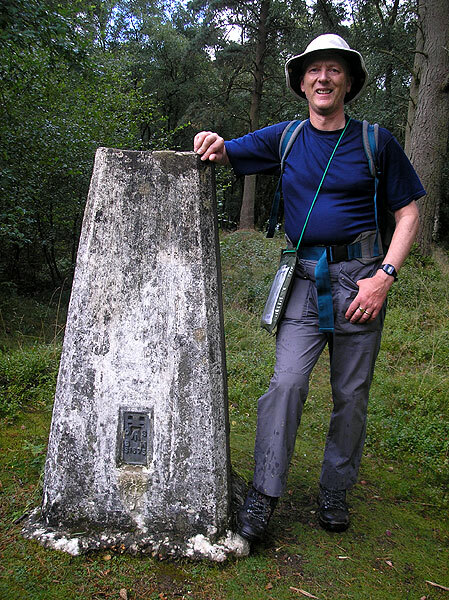 Back on the hill, the highest point in Sussex (918 feet) is just off trail at the trig point, hidden away in scrub. Eventually the path drops down to a little windy road, followed by a stretch through paddocks at the Surrey border, but there is time for one last delight in National Trust meadows at Swan Barn Farm just before the end of the walk, practically opposite the start of Greensand Way in Haslemere High Street.